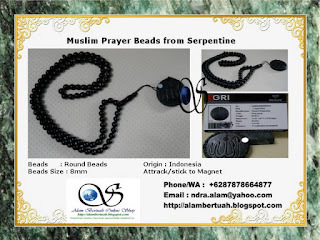 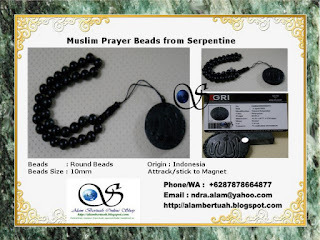 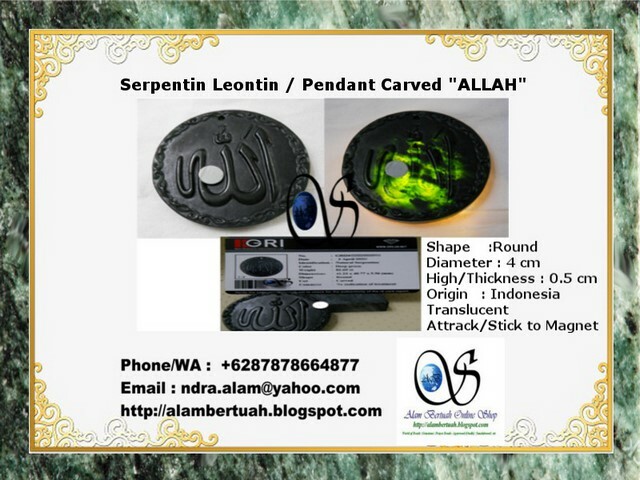 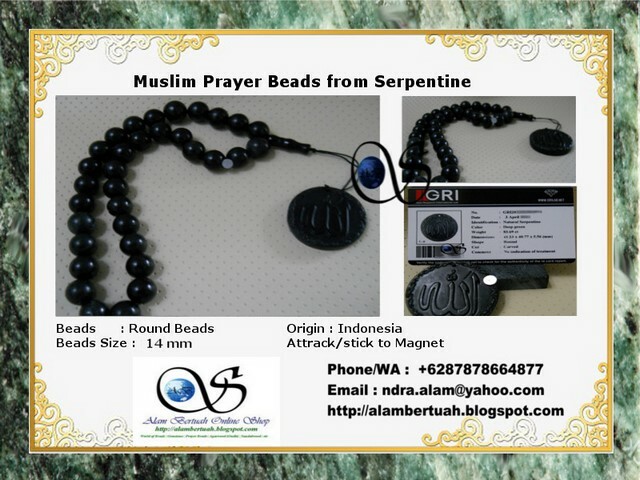 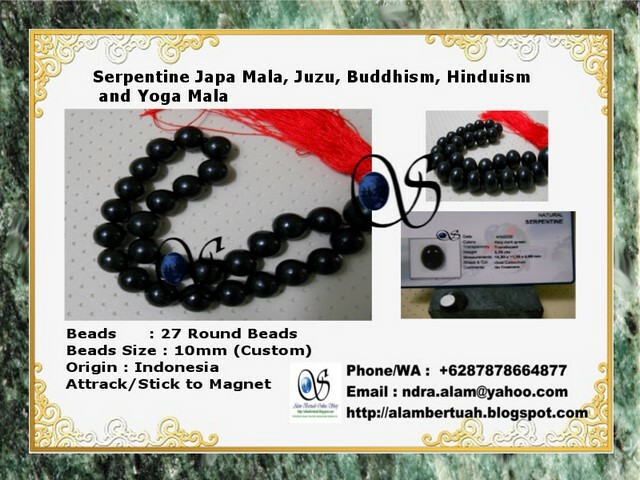 Misbaha, Masbaha, Masbahah, Tespih, Tesbih, Tasbeeh, Tasbih, Sibha Prayer Beads, Subha Prayer Beads, Subhah Prayer Beads. 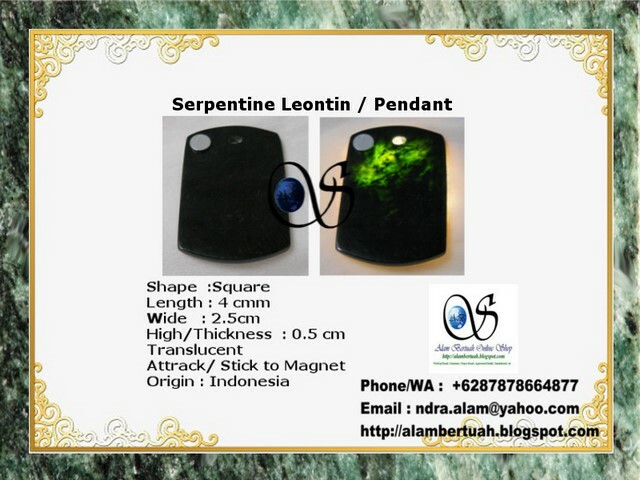 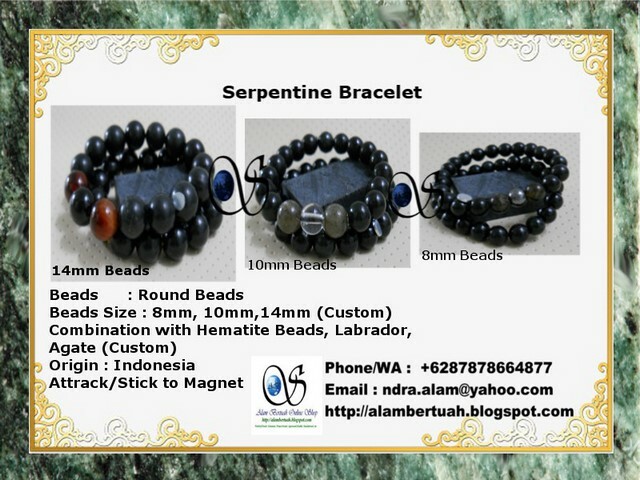 Serpentine is a magnesium iron silicate hydroxide mineral, found in many metamorphic and igneous rocks. Serpentine is also a Group Name for members with the same chemistry including Antigorite, Clinochrysotile, Lizardite, Orthochrysotile and Parachrysotile. 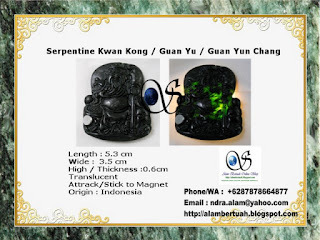 Fibrous Serpentine forms asbestos, and should be handled with care and never inhaled. 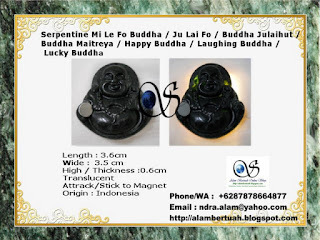 Serpentine is most often used as an ornamental stone, or as a poor substitute for Jade. 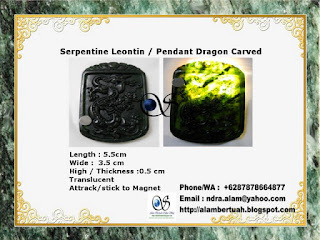 Serpentine has been given several names such as African Jade, New Jade, Green Jade, Olive Jade, Yellow Jade (to name a few). 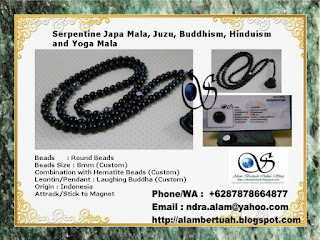 For Kundalini Energy, Meditation, Clear all bloked Chakra. 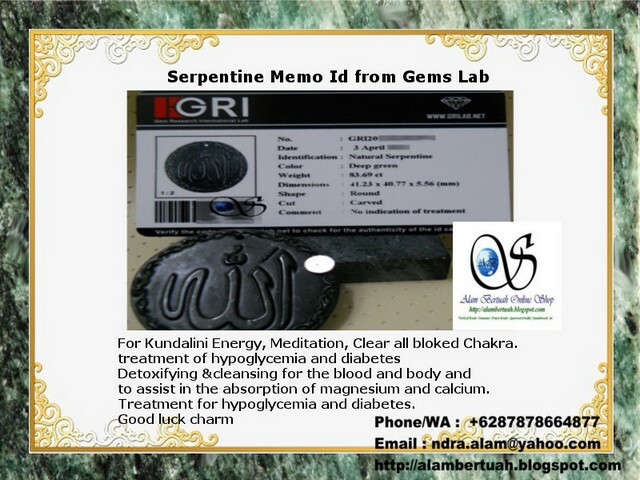 Detoxifying &cleansing for the blood and body and to assist in the absorption of magnesium and calcium. 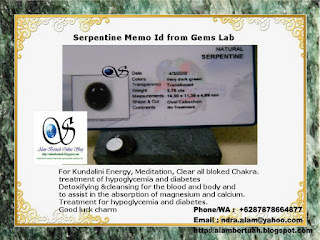 Treatment for hypoglycemia and diabetes. 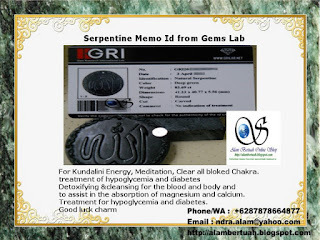 Serpentine can be helpful in treating diabetes. Serpentine assists in harmonising mineral absorption. 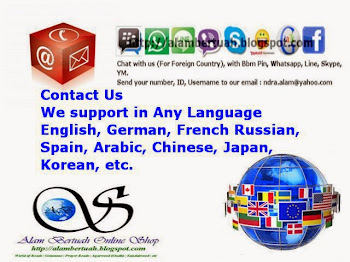 can SMS (Text) international : +6287878664877 or (087878664877). 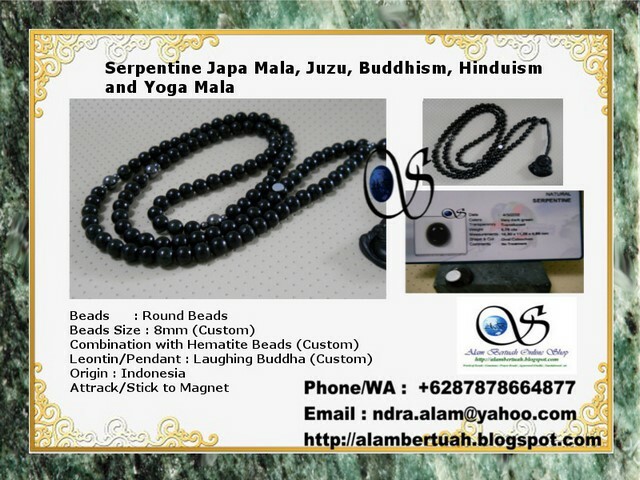 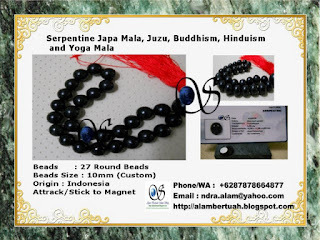 Buddhism, Hinduism Prayer Beads, and yoga Malas from Stone Beads. 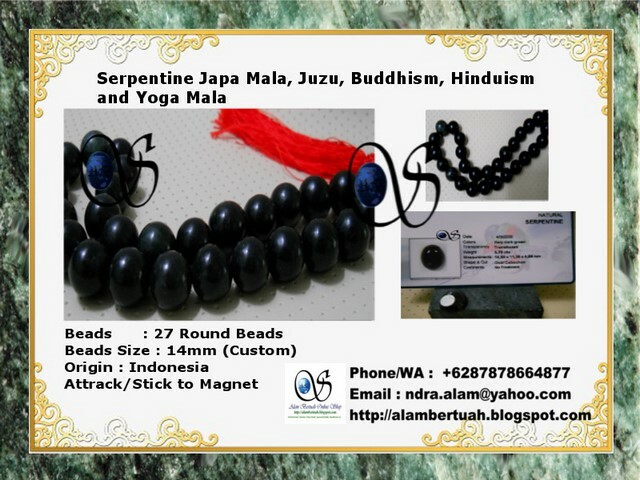 Japa Malas, Jaap Mala, Japamala, Mala, Juzu, Juzu Pristration Rosaries, Nianzhu, Nenju, Tranghat. 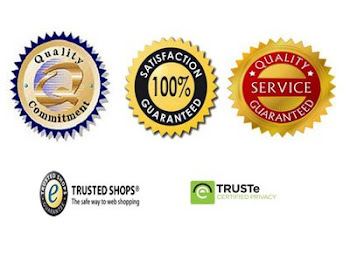 Antique Dealers, Collectors Directory - Antique dealers and collectors of antiques. Tema PT Keren Sekali. 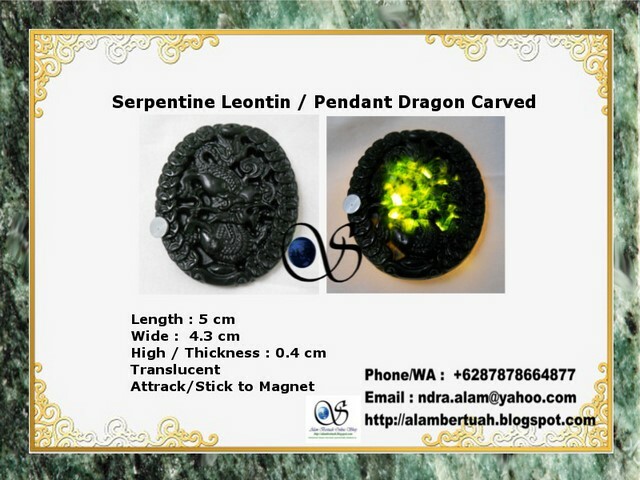 Gambar tema oleh zbindere. Diberdayakan oleh Blogger.